3rd Degree in Judo and 2nd Degree in Aikido. 1st Degree or higher equivalent in Escrima, JKD, Karate. Member of The World Head of Family Sokeship Council and the International Council of Grandmasters. 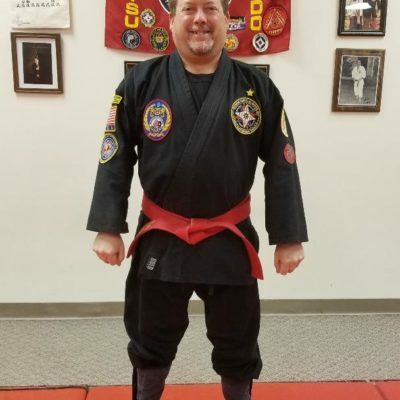 GM Mark Murdock teaches all classes at both dojos at this time. On June 3, 2017 Soke Casarez tested me for my 9th degree black belt 4 years early to be able to take over his system. I achieved the status of Grandmaster in Manabi-Masho Ju-Jitsu. It was a great honor to be tested by Soke Casarez himself for this prestigious belt rank. On December 31, 2017 Founder GM Casarez retired from his system and appointed myself as well as Master Allen Wilson Soke of Manabi-Masho Ju-Jitsu effective January 1, 2018. The system was renamed as Casarez Manabi-Masho Ju-Jitsu “The Working Way” in honor of it’s founder, John H. Casarez. This is how I became interested in martial arts and started in martial arts. 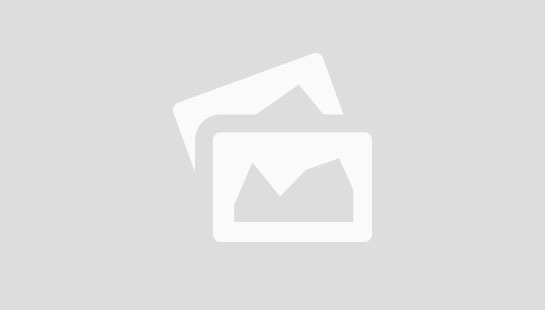 I became interested in martial arts in the summer of 1979. While I was working at a grocery store in Chesapeake, Ohio. There was this guy (Sensei Casarez, 6th degree black belt at that time) that came into the store and was showing all kinds of really cool martial arts techniques to the manager or anyone who wanted to see them. He could control my 6’4″ manager with a couple of fingers. I thought that was just magical. I said to myself I have to learn that. At that time I started to have Sensei Casarez, a 6th Degree Black Belt show me different techniques. I wanted to go to his school and officially enroll as a student but could not afford tuition at that time. I then started training with a couple of friends who were actual students of Grandmaster Casarez. I learned a lot from them but still wasn’t satisfied. I wanted more techniques and more training, more than they could offer me. Finally a couple years later I began training on a regular basis with Soke Casarez and have been for nearly 40 years now. In 1986 I began to assist Soke Casarez in teaching. In April 1994 I moved to the Raleigh , NC. area brought Manabi-Masho Ju-Jitsu to North Carolina. I began privately training and tutoring students from April 1994 thought may 1996. 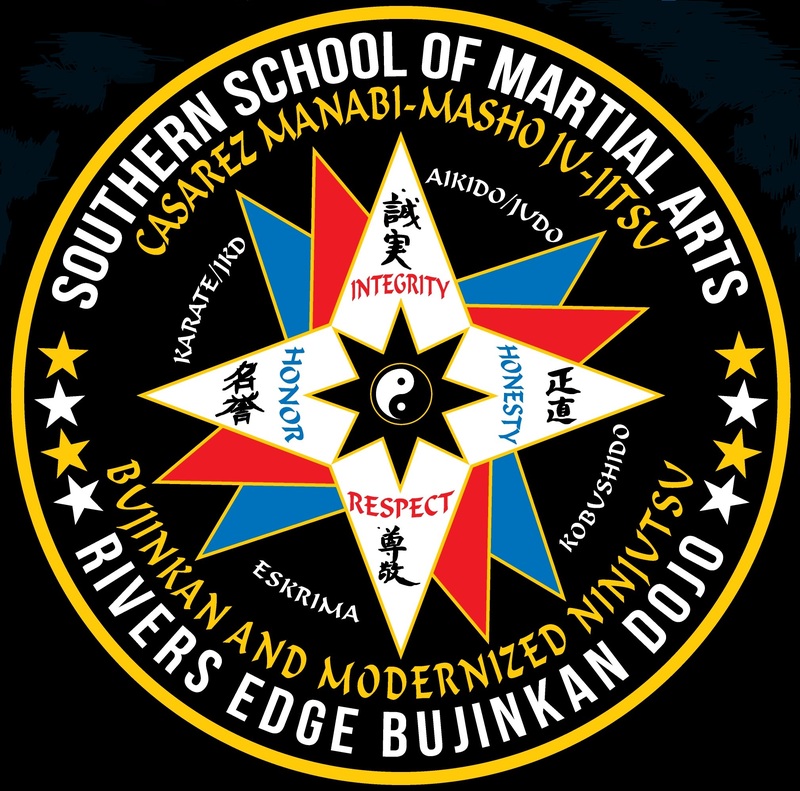 In May 1996 I founded Southern School of Martial Arts. On. May 16, 2016 Southern School of Martial Arts celebrated it’s 20th anniversary. In October, 2001 I created a special Children’s Martial Art called Kobushi-Do, “The Little Warrior Way”. This children’s martial art specializes in children’s self defense in a fun and entertaining way. In July 2017 I created a program for small children ages 3 through early 6 years old called Little Ninja. This programs works on developing motor skills, balance and hand and eye coordination while preparing them to learn martial arts techniques. I currently have a 4th degree black belt in Bujinkan Ninjutsu (5th degree candidate). I teach that style in addition to Casarez Manabi-Masho Ju-Jitsu. In 1996 I officially started training in Bujinkan Budo Taijutsu (Ninjutsu). I started under the guidance of Shihan Richard Van Donk. I also trained once or twice a week at the Quest Center in Chapel Hill. I trained in Stephen K. Hayes’s Toshin-Do style of Ninjutsu. In 2000 at the Atlanta Tai-Kai I tested for my 1st degree black belt in Ninjutsu. This was one of Maasaki Hatsumi’s American Tai-Kai’s. In 2003 I received my 3rd degree black belt and became an instructor of the Bujinkan Ninjutsu style. I then founded Rivers Edge Bujinkan Dojo. I also trained a couple of years with Shihan Ed Martin from PA. In 1988 I became a board member of the Manabi-Masho black belt board of directors. In May 2006 I became a member of the World Head of Family Sokeship Council’s Masters Division. I became a member of the World Head of Family Sokeship Council’s Grandmaster Council in September 2017. I also became a member of the International Grandmasters Council in early 2018. I’m a member of four Halls of Fame; The World Martial Arts Hall of Fame, The World Head of Family Sokeship Council International Hall of Fame, The USA Martial Arts Hall of Fame and the Florida Cosmopolitan Hall of Fame. Below are some of the awards I have received from these Halls of Fame. Ju-Jitsu Man of the Year on several occasions. Instructor of the Year on several occasions. Master Instructor of the Year on several occasions. On September 2, 2017, I was awarded the Silver Lifetime Achievement Award from the World Head of Family Sokeship Council. Southeast Ohio Paramedics, Lawrence County, Ohio Fire Departments, Cabell County EMS- Huntington, WV. I’ve also privately tutored West Virginia State Police Officers, Raleigh and Durham, NC. Police Officers, Four Oaks, Selma and Smithfield, NC. Police Officers, North Carolina Highway Patrol Officers, Bay Leaf and Wake Forest Fire Fighters in Northern Wake County, Wake County EMS (whole department), Military and Special Forces personnel on several occasions. I taught a special needs class for West Lake Middle School in Wake County and taught a class for the elderly in Wake Forrest, NC. I’ve also demonstrated my skills at the WHFSC event in Orlando, Florida in 2002, 2003, 2005. I taught my first official WHFSC seminar in 2013. I then taught other seminars in 2014 and 2017 at the WHFSC event. Grandmaster John Casarez-Creator of Manabi-Masho Ju-Jitsu “nearly 40 years”, Bob Frazier-Okinawan Karate 12 years, Bob Edwards-Judo 12 years, Lester Cohen-JKD/Eskrima 4 years, Mike Parsons-JKD/ Eskrima 4 years, Richard Van Donk-Bujinkan Ninjutsu 22 years, Jack Hoban-Bujinkan Ninjutsu one seminar, Stephen K. Hayes-Bujinkan Ninjutsu/Toshin-Do three seminars, Bud Malstrom-Bujinkan Ninjutsutwo seminars, Masaaki Hatsumi-34th Grandmaster of Bujinkan Ninjutsu one seminar, Professor Wally Jay, Small Circle Ju-Jitsu two seminars, Daito-Ryu Aikijujitsu from Okimoto Sensei one seminar, Shihan Ed Martin-Bujinkan Ninjutsu two years, General Alexander Rutinski-Russian Martial Arts eight seminars, Ernesto Peresas-Eskrima four seminars, Gary Dill-JKD 14 seminars, Frank Sanchez-Sanjutsu 12 seminars, Don “The Dragon” Wilson-Actor/Kick Boxer two seminars, Jeff Speakman-Actor/American Kenpo one seminar, Dan Severn-UFC Champ one seminar, Frank Dux-winner of a Kumite one seminar, Kathy Long-kickboxer and movie star one seminar, Grandmaster Gary Alexander-Issin-Ryu Karate, Grandmaster George Alexander- Shorin-Ryu Karate five seminars, Grandmaster Dennis Hanover- Hanover Survival Ju-Jitsu and Krav Maga one seminar, and many others during the last 25 years of the World Head of Family Sokeship Council Hall of Fame seminars, 1996 through 2017. I also trained in several seminars at the USA Martial Arts Hall of Fame in Indianapolis, Indiana, I had the honor to meet Bob Wall, friend and mentor to Bruce Lee and Chuck Norris’s best friend. Bob Wall starred in Bruce Lee’s “Enter The Dragon”. He told me a lot about Bruce Lee and how they were such good friends. I also had the honor to meet Eric Lee, actor and martial artist. Eric has been in several martial arts movies over the years. I also had the chance to meet Grandmaster Victor Moore who fought, Bob Wall, Chuck Norris and many other famous fighters. In my nearly 40 years in the Manabi-Masho Ju-Jitsu and the many other martial arts that I teach and train in have been so important to me. They have kept me in control of my life and have contributed to good health and have made me many, many great friends over the years. I hope that God grants me the strength and health to continue to teach and learn and especially give back as much knowledge as I’ve received. Thank you, Grandmaster Mark Murdock, Soke-Dai of Casarez Manabi-Masho Ju-Jitsu and Shidoshi-Ho, Bujinkan Budo Taijutsu, Ninjutsu.